Assists in finding replacements for copyright material embedded in your material and/or negotiate for permission to use it, hosting it on Vula and/or publishing it to Open Content UCT and OER Africa. We also offer these services for new material you would like to create. Limited funding is available to assist you in this if necessary. Should you be in the process of finding new or alternative content for your course(s), approach us for assistance to find such content or source repositories thereof. There are already a number of Health Sciences-related OER materials that EDU has helped create, here. OER stands for Open Educational Resources (OER), learning materials that are freely available for use, remixing and redistribution, without an accompanying need to pay royalties or license fees - as would be the case should you use proprietary (copyright) material. Open educational resources (OER) are gaining ascendancy in education, particularly in higher education. Logic suggests that the potential beneﬁts of OER are likely to be greatest in resource-poor contexts such as Africa. However, little is known about the feasibility and sustainability of their use in African institutions. In the Health OER Inter-Institutional Project, OER Africa and the University of Michigan collaborated with medical schools in Ghana and South Africa to help develop OER and tools for facilitating the integration of these into the existing curricula. The article draws upon data from the various evaluations of this project as a basis for generating understandings on initiating and sustaining OER in African contexts. Sam Lee Pan,Greg Doyle, Veronica Mitchell and Matumo Ramafikeng. A fresh buzz is perceptible in the Faculty - people are talking about OER and thinking about their implications for practice. OER development is providing the opportunity to reflect on established teaching resources to identify possible ways to improve them with those that are openly shared from other institutions. More educators are looking at their own material to assess whether it is suitable for the public domain. Up until now, the Health OER team, which supports academics in OER development, has been working on publishing existing course material to an online and accessible OER format as well as assisting faculty with creating new material as OER for teaching and learning. In the next few months, we are looking forward to releasing a neurological examination teaching video for third-year students, case studies in from Digital Pathology, and a visual, interactive key which teaches students about human rights and health. This case study is the result of semi-structured interviews and email engagement with teaching and support staff involved in OER activities in the Faculty of Health Sciences and the OpenContent Directory at UCT. The contributors, listed at the end of this study, gave their consent for the author to use their names and direct quotations, and their words are included here verbatim. 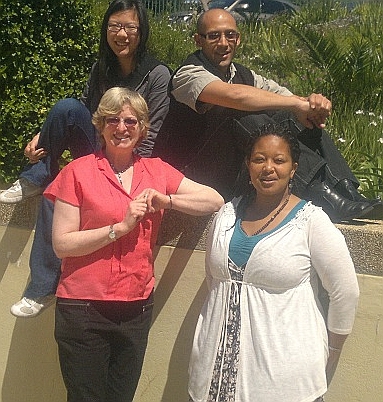 The case study describes the FHS experience with OER, locating it within the UCT OER context and highlighting strategic priorities, perceived benefits, achievements, challenges, production processes, lessons learned, future plans, and advice for others interested in creating their own institutional OER initiatives. Creators of Open Educational Resources (OER) are to take note of and act in accordance with the newly-updated Intellectual Property (IP) policy of the University of Cape Town. The updated version now specifically addresses issues relating to the creation of OER resources and the licensing processes to be followed. The policy also now expressly states the support for publication of materials under Creative Commons licenses. In term of the updates, an Intellectual Property (IP) Advisory Committee is to be established to manage the processes relating to IP for UCT. Section 9 of the policy relates to creators of OER resources. It states that software development projects involving Open Source Licensing (OER) should, from the outset, submit the intended type of license agreement for review to the Research Contracts and Intellectual Property Services (RCIP) office for review in terms of compliance to South Africa’s Intellectual Property Rights (IPR) Act and guidelines.